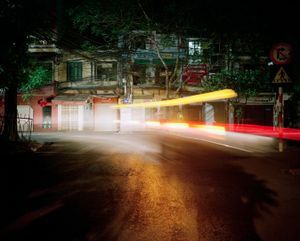 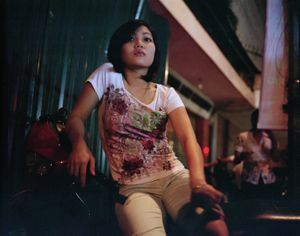 Hanoi by night: restless, bustling, claustrophobic. 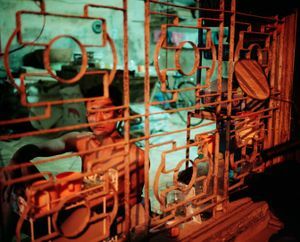 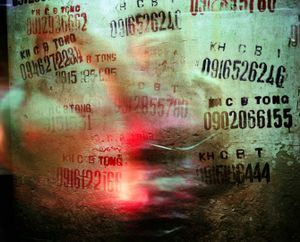 Breathless heat and cramped living quarters drive people onto the city streets. 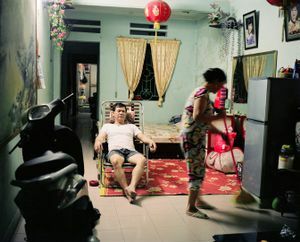 With doors and windows flung wide open, domestic worlds spill out into the public arena. 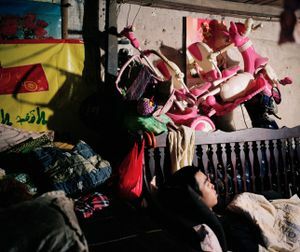 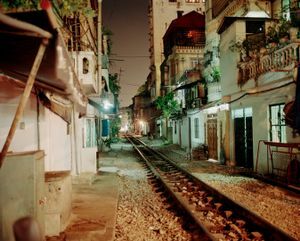 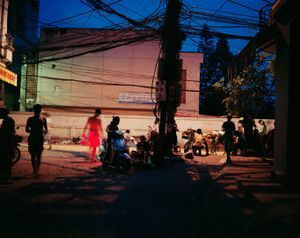 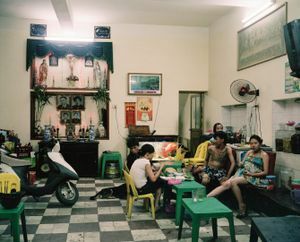 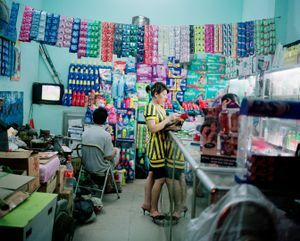 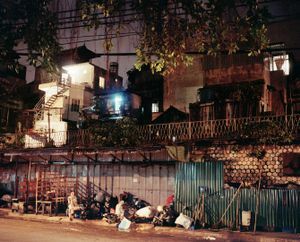 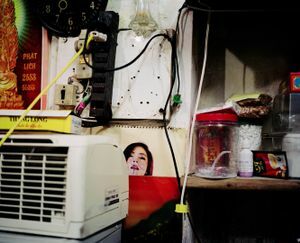 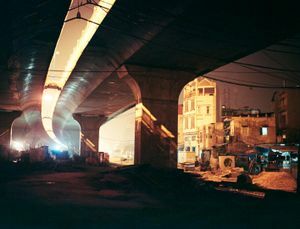 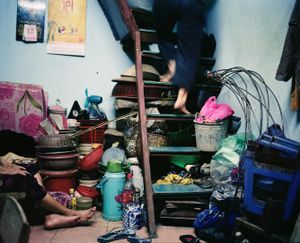 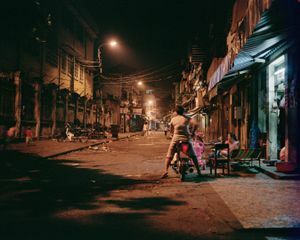 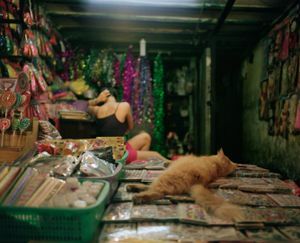 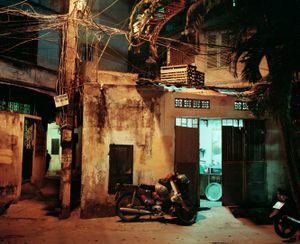 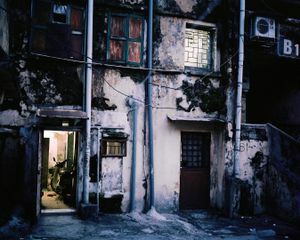 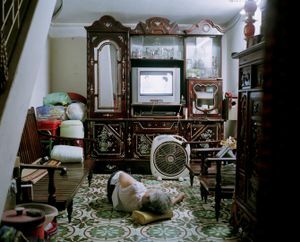 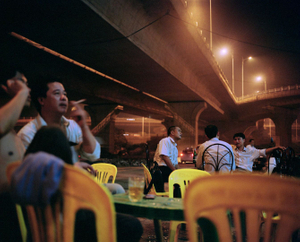 Flashes of intimacy and heavy moods, resonant colour fused with physical proximity, and the constant rhythms of pavement narratives are transformed into a complex fabric that lends almost palpable presence to life in Vietnam’s capital.